Notice that we've changed direction coming around the bend. 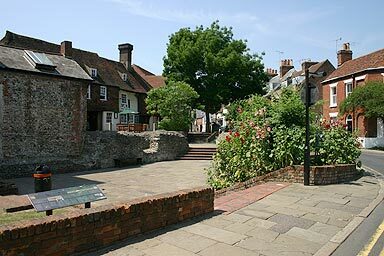 This small sunken garden was an old excavation of Roman Canterbury, you can see the old roman walls ahead of you. Behind them is Simple Simon's pub.